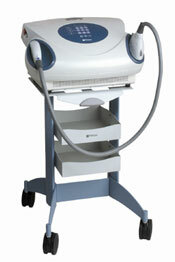 The Palomar MediLux IPL machine is a more advanced system than the Palomar EsteLux IPL machine, but it is also available at a very affordable price from SunrayLaser.com. This system uses Palomar’s acclaimed IPL flashlamp technology to produce exceptional results for hair removal, as well as the treatment of acne, leg veins, facial veins and vascular lesions. The Palomar MediLux IPL system can perform most hair removal treatments in less than a half-hour, and the available MediLux handpieces are extremely cost effective to own and operate with a lifespan of more than 100,000 pulses. At SunrayLaser.com, we can save you money on the purchase of a used Palomar MediLux IPL laser machine as well as any accessories and handpieces you need. Even though a pre-owned Palomar MediLux IPL system is affordable, you can still pay too much if you buy it from someone other than SunrayLaser.com. We work hard to keep our prices low, but that doesn’t mean we cut any corners when it comes to quality. We offer a full satisfaction guarantee and we only sell used cosmetic equipment that passes our strict inspection and testing process. Even if you are not looking to buy right now and are just comparing cosmetic equipment prices, contact us today and we’ll gladly provide any information you need, including a no obligation price quote on a quality used Palomar MediLux IPL laser machine.